Now here’s a little camera for the street photographers and or travelers who loves shooting with one camera and one lens. In fact, this one’s a fixed lens! Purists rejoice! Ok, this might be a review that’s a little too late so I’m gonna change things up for this. I won’t go too much into technical details of this camera since a lot of reviews out there have already written about it. What I will do is share you my opinion as a street photographer why this baby is a pleasure to use for your daily dose of street shooting. X100T is as of writing is the third version of four cameras of its kind. Currently, Fuji has released the X100, X100S, X100T and the most recent addition, the X100F. I’ve been using this camera for a few months over a year now so I feel like I can give you some insights, sort of a review, about this camera on a Street photographer’s point of view. The mirrorless revolution has taken over the photography scene and it continues to dominate the market. X100T is just one of them performing exceptionally. Busting a 23mm f2 fixed lens which surprisingly is very tiny just like the camera body hosting it. The body looks more like a point and shoot camera except it packs a lot of features. Being compact means it’s a lot lighter than traditional SLR, it's even lighter than most interchangeable mirrorless cameras out there. You can wear this around your neck like nothing. This is crucial among travelers and photographers who want to pack light. It's not gonna get in the way as well especially when you’re not using it and doing other stuff. If you are like me who goes traveling and are fine getting stuck with one focal length, you’ve got yourself a winner. While I prefer having a lens hood attached to the lens, look how sleek and thin this camera’s profile is without anything attached to it. Just bare pure greatness. I am among those photographers who shoot more film than digital. That means I am used to, and in love with cameras with physical dials to set your camera’s exposure settings. This is the reason the why I got so used to using the X100T. I’ve got the aperture ring on the lens, the shutter dial on top of the body and the exposure compensation next to it. I don’t usually use the exposure compensation dial so I wish Fuji had just replaced this with an ISO dial instead. Although the X100F(link Amazon) has addressed this small complaint of mine. Overall, the buttons and dials of this camera are very intuitive. I know this is a personal preference, but I find it faster, and more efficient to control your camera settings with physical dials. This works exceptionally well when you're out and about on the street looking for scenes to photograph. 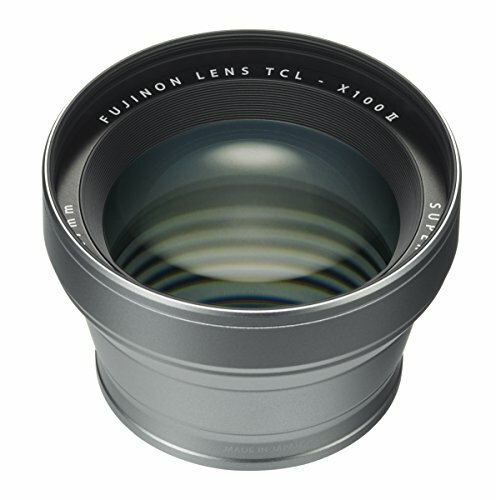 The lens is tiny but a monster when it comes to the image quality it produces. 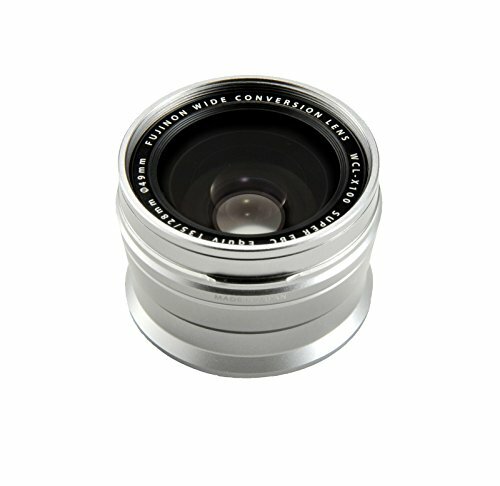 It's a 23mm, a 35mm full frame equivalent which a lot of street photographers prefer. It's actually my go-to focal length because it's versatile. It can cover styles from landscape to portraits very well. Aperture goes decently fast at F2 which I personally do not mind as I normally shoot with narrower apertures. The image the lens make is pretty sharp as well. No complaints about it. As a street photographer, the background is as important as the subject. Without it, it's hard for me to tell the story of the photographs I take. I’m also not a “Bokeh guy” so I’m good with F2 even indoors. And if you’re itching to shoot with another lens, there are lens conversion systems you can attach making it either wide or tele. The image quality of this camera is top notch having an APS-C sensor and 16mp resolution. I'm no techy but the images this thing makes are crazy good. You don’t really need this to be a full frame camera since the demand and trend of posting images nowadays are viewed mostly on smartphones and desktops. Maybe the difference will be evident when you make large prints of your photos. But then again, an iPhone images can also be printed in huge sizes with the quality almost unaffected. This APS-C sensor combined with a 16mp resolution will produce super sharp images, at least to my taste. Unless you are that guy who zooms on to each and every photograph he took to see whether the details are razor sharp or not, this camera will be more than enough for you. The worst thing that can happen to me is getting caught by a stranger after I hit the shutter. It's awkward. As much as possible I just want to take the photo and walk away and not have to explain myself why I’m taking their photographs. Now with this camera, I do not have to worry about anything like that. You can basically set this camera to either shoot with a mechanical shutter or electronic shutter. Mechanical will give you a really faint sound. The sound is so weak, I breathe louder than it. The electronic shutter, on the other hand, has zero sound. I used to set my camera this way but I found out from another Fuji user that you sacrifice some of the features when you set it this way. Here’s the truth about me, I don’t believe with brands marketing their latest camera to be faster than the previous model they released. While technically they are telling you the truth-- but really? How fast do you really need it to be? This camera’s autofocus is fast. And it’s more than what I need. I’m no sports photographer or action photographer which is why I’m contented with this camera’s focusing speed. I’m pretty used to using manual focusing because of the analog cameras that I own but with this camera, I never dared to set this to manual focus. I just feel that the camera was optimized for autofocusing and a manual focus mode is just an option provided for you if you feel the need to use it. Personally, I like to shoot around ISO 800 to 1600. Rarely I go down to 200 or 400 because I like shooting with small apertures. But what’s surprising with this camera is its ability to create images with little noise at high ISO. I've shot this up to ISO 3200 and had really good results. The X100T isn’t the best to shoot at night but I can confidently say that it can handle low light pretty well. This photo was taken at night at ISO 3200. Pretty good quality right? 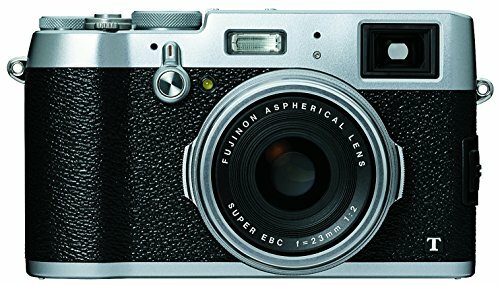 This camera, like most of Fujifilm's X-series cameras all feel like you are using an analog camera. It's always fun to use film cameras which is why the X100T did not disappoint me. Physical dials and film simulations make everything a joy. If you are having fun using the camera then I guess the camera makers are doing a great job. I mean one of the most important thing with photographers is that they connect with their cameras. Normally, I will set my camera to aperture priority at F8-11, ISO 800-1600, and autofocus. This is my go to setup when the sun is bright. I shoot everything in RAW and no Jpg copies stored in the camera. This allows me to maximize the number of RAW photographs I can take. I also set the film simulation to Classic Chrome, although this is completely disregarded when I'm post processing. I use both the viewfinder and the LCD screen when I'm composing though when I look through the viewfinder, I prefer using the electronic VF instead. It's more accurate. What makes this really special is it is a fixed lens, fixed focal length camera. This means you can focus on just taking photographs and enjoying your day traveling. When I and my wife go traveling, sometimes I just want to be a tourist and just enjoy the cultural immersion and the experience of seeing different places. This camera helps me not to think of anything else. Just shoot and go. As street photographers, we want to eliminate over thinking and just get out the field and shoot. This is that camera. You do not need to worry which lens to use or what other gears you need to carry. X100T handles the tasks effortlessly. It’s indeed a total package for street photographers. Hope you guys like my take as a street photographer on how the X100T performs but please remember, a camera is just a tool. A meaningful image is always created by the person behind the camera. If you are interested in this camera, check out these links where you can purchase them.